Sarath hails from Payyavoor, a remote village located in Kannur District of Kerala. His father is a daily wage laborer; and mother is a house wife. He has an elder sister, who is working as a trainer. After his graduation, he was clueless about his future. Without having any future plan, he was spoiling his valuable time by roaming with his friends. He thought that he will not get any good job with his graduation degree. Instead of sitting idle at home, he thought to earn something at least for his pocket money and personal expenses. 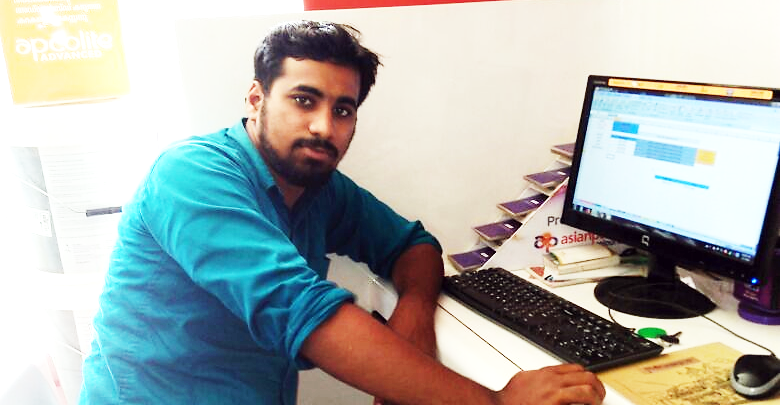 While searching for a source of income, he was really not sure about his career and also plan for any further study. During those days, his sister informed him about Don Bosco Tech and encouraged him to do the course as per his interest. Without much hope, he agreed to enroll in Sales Associate course. During the training, he explored himself a lot. With the life skills activities, he overcomes his stage fear and acquired self-confidence. The trainers identified his potentials and also weak areas in which they helped him to overcome. All the activities in Don Bosco Tech (Pattuvam) helped him to grow in his personal and professional life. He became a new person with good qualities and talents when he finished the course.